Jaguar XE gets new infotainment options and all-wheel drive | What Car? 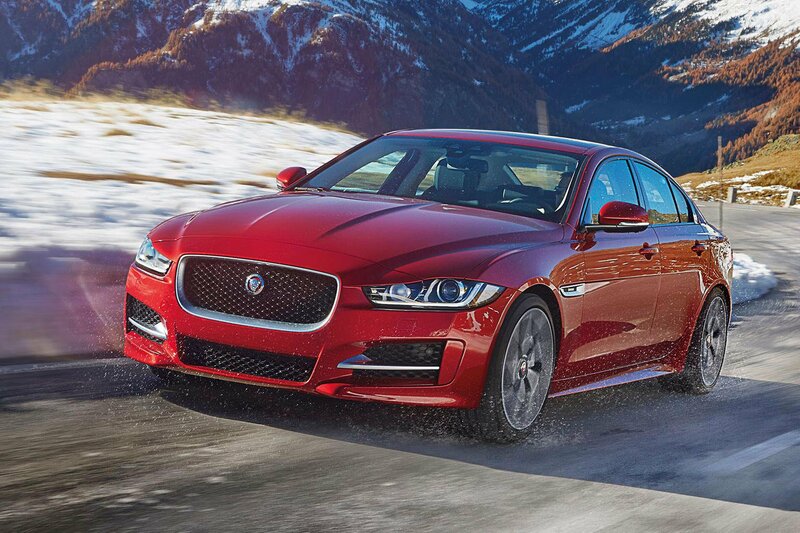 The Jaguar XE has received a comprehensive list of updates for the 2017 model year. Available to order now, the MY2017 Jaguar XE is offered with all-wheel drive for the first time. The system, which is already used on the larger XF, is available with Jaguar's 178bhp 2.0-litre diesel engine. All-wheel drive versions of the XE also get Jaguar's Adaptive Surface Response system, which continuously monitors vehicle data and adjusts the throttle, transmission and stability control systems to suit the terrain. Other new features include an adaptive speed limiter, which can automatically increase or decrease the speed of the car to match speed limits, and a lane-keeping assistance function. Inside, drivers can now opt for a larger infotainment screen, in the form of Jaguar's InControl Touch Pro. The 10.2in touchscreen interface replaces the standard 8in screen and features more customisation and a new dead-reckoning system, which uses the car's heading and location information to determine navigation data, even if the GPS signal has been lost. The upgraded Jaguar XE is available to order now, with first deliveries planned for early next year. Prices for the Jaguar XE start at £26,990.